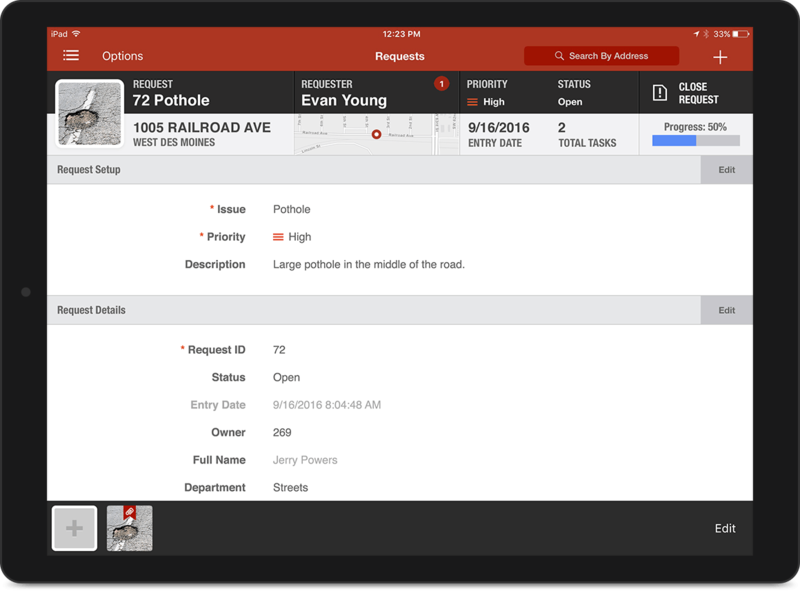 From citizens to coworkers, Cartegraph makes it simple for anyone to submit a request. Use the software to organize those requests, improve response times, and communicate with citizens. 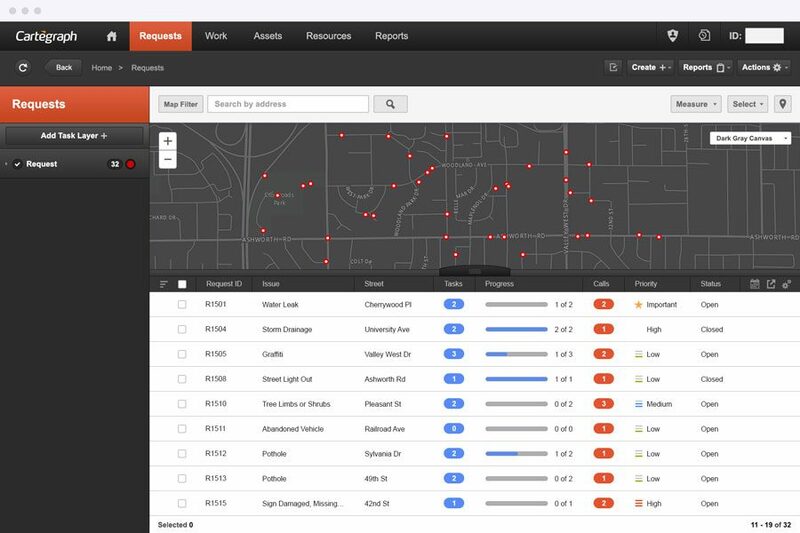 When a citizen calls in to report an issue, Cartegraph walks you through the request intake process. If the issue is already on your radar, you can easily log multiple calls under a single request—eliminating duplicate data and reducing call times. When a familiar citizen calls in, click to see a list of issues he or she has submitted. If work is already scheduled for the request at hand, you can let the citizen know when the issue is expected to be resolved. As soon as you complete work related to a request, Cartegraph sends a notification to the citizen letting them know that their issue is resolved. Intake issues from any 311 system. View and edit requests from anywhere using your desktop or Cartegraph for iPad®. Easily tap to contact the requester for more information if needed. Then create work on-the-spot to resolve the issue quickly. More information leads to faster resolution. When requests come in with location details and photos, crews can more quickly assess the issue and expedite the response time. Use Cartegraph to engage staff in the safety and upkeep of their workplace. Leverage the Internal Request feature to intake non-emergency issues and service requests from within your organization.